This issue opens at the UN Plaza, where a group of women are making a peaceful protest about rights. A gang of louts arrive looking for a fight and lay into the ‘hippie traitors’. As a full scale riot begins Diana Prince arrives to discover a chaotic scene. Instantly, she rushes to a quiet area and changes into her Wonder Woman costume. She returns to the brawl and encircles the mob with her magic lasso, commanding them to stop fighting and see each other as long lost friends. Compelled by the lasso, they stop and begin to smile and chat to each other, wondering why they were fighting in the first place. The trouble, it seems, is over. Hippolyte recalls the day she formed two figures out of clay – one black and one white – and how the goddess Aphrodite breathed life into themJust then, Wonder Woman sees one of her roommates walking towards the entrance, unaware that one of the flagpoles has been loosened and is about to fall on the young girl. With lightning reflexes she pushes the girl out of the way just in time. As she helps her grateful roommate to her feet, she is thankful that the girl does not recognise her as Diana Prince. 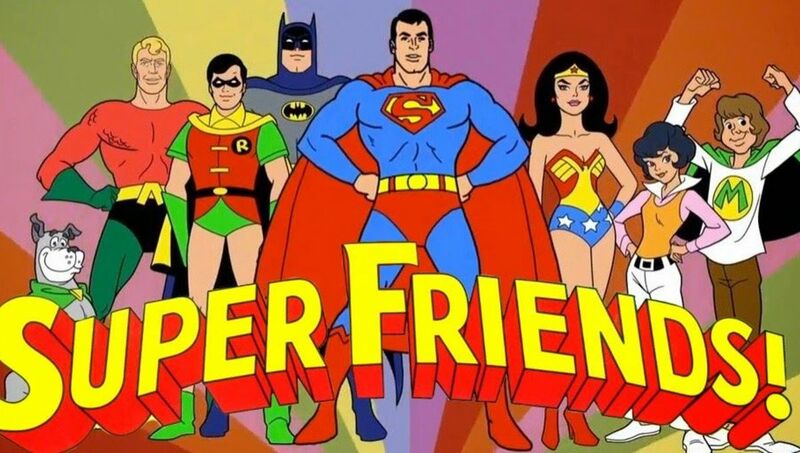 However, Wonder Woman finds that her roommate actually reminds her of someone else – someone who Diana has not been able to stop thinking about – the mysterious Nubia. 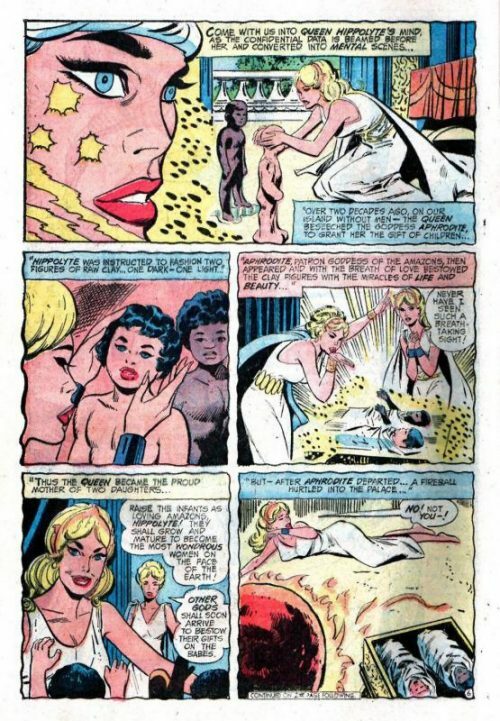 Meanwhile back on Paradise Island, Queen Hippolyta is wondering about the enigmatic black Amazon too. As the queen sits in her chambers, she holds three memory tapes in her hands. Two decades before, she had beseeched the Goddess Aphrodite to grant her the gift of children. The Goddess had instructed the queen to fashion two figures out of raw clay; one light – one dark. Aphrodite had then worked a miracle and bestowed upon these two figures the gift of beauty and life! Thus, at once the queen had became the proud mother of two daughters. Aphrodite had then informed her that they would both grow up to be wondrous women and that the other Gods would be arriving soon to bestow their own gifts upon the two babies. Suddenly though, a ball of fire had hurtled into the palace and before her eyes, had transformed into Mars, the God of War. He had snatched the black baby before the queens sobbing eyes and by the time the other Gods arrived he had departed, taking the child with him. As the remaining baby, her daughter Diana, was given her special gifts by the Gods, the queen’s joy was tainted by the secret grief she felt for her lost child. Wonder Woman uses her amazong skills to deflect the fireballs!The memory playback finally finishes and Hippolyta removes the headset, remembering that not even Aphrodite had been able to discover where Mars had hidden the child in his savage domain all these years. The scene changes to Mars himself, who is looking down upon the floating island where Nubia lives. He savours the attack that is soon to befall Hippolyta and her Amazons as he watches Nubia practice her fighting skills. It seems that ever since he had stolen her as a babe from the queen, he has been training the black Amazon in all forms of combat to become the most glorious female warrior of all time. His purpose – for Nubia to be his instrument of vengeance against the Amazons. And so,as he commands the floating island to drift towards Paradise Island, the attack begins. 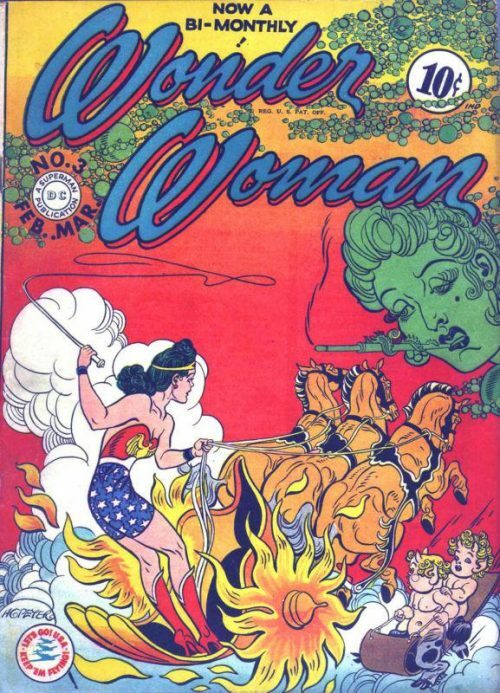 Queen Hippolyta is alerted by one of her guards as fireballs begin to reign down upon the Amazon’s home. As destruction begins to fall all around them they are confused as to where the attack is coming from until they suddenly realise that the fireballs are being launched from the floating island. The queen knows that this must be the work of Mars and contacts Diana through telepathy. Back in New York, Diana (as Wonder Woman), is still helping her roommate recover from shock when she receives the message and immediately summons her invisible jet. She races back to Paradise Island at full speed and arrives to witness yet another fireball launch from a volcano on the floating island. She leaps from her plane and using her amazing skills, manages to deflect each fireball, making them fuse together to form one huge boulder until finally using it to seal the volcano itself. Suddenly however, she sees her mother down on the floating island, trapped in the branches of a tree. As she touches down to rescue the queen, the image vanishes and she realises she has been tricked. Immediately, she is surrounded by an angry horde of tribesman and is swamped by savage spears. Wonder Woman is attacked by Nubia!But the Amazing Amazon throws them off her as if they were rag dolls and snaps their spears in half. She lassoes the men and commands them to forget their warlike ways. Before she can finish though she is clubbed over the head with a sword and falls to the ground. Dazed, she looks up to discover who her attacker is and sees none other than Nubia! With Wonder Woman still lying on the ground defenseless, Nubia prepares to finish her with her sword but again she hesitates. 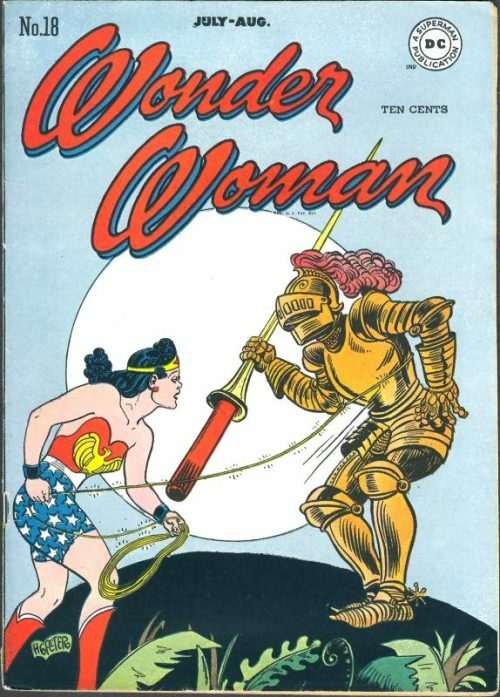 Wonder Woman asks why she is unable to strike and her foe does not know the answer. 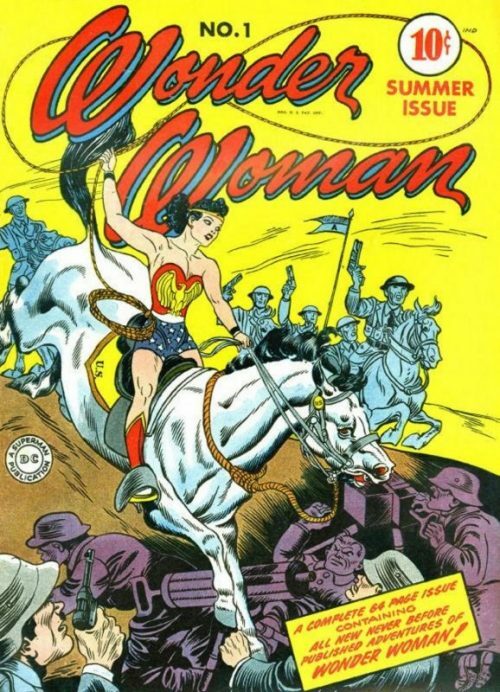 Wonder Woman quickly vaults over the other Amazon and into the air, riding on the wind currents. She tells Nubia that ‘women should not battle each other’ but stick together to stop man’s warlike ways. Nubia disagrees, stating that it is their fate to face each other in a fight for supremacy and then she too lifts into the air. 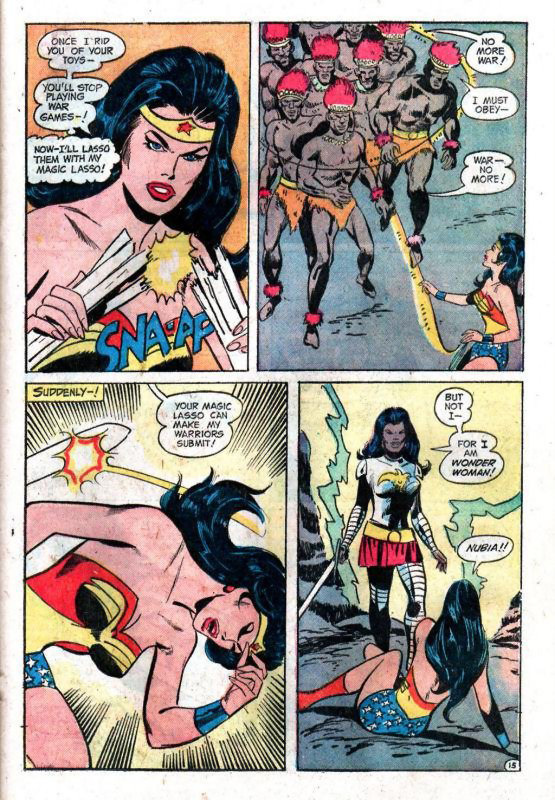 Wonder Woman ensnares her opponent in her lasso and tries to compel her to stop, but Nubia informs her that her sword is a magic one, given to her by Mars and which can counteract the effects of the lasso. As the two women grapple with each other in the air, Wonder Woman realises she has to find a way to break Mars’ hold over Nubia before her opponent breaks her!. As the struggle continues, she notices a ring on Nubia’s hand which seems strangely familiar. However, this small break in Wonder Woman’s concentration allows Nubia the advantage and she throws the Amazon Princess head first into a tree. As Wonder Woman tries to regain her senses, she recalls a time when, as a child, her mother had shown her the Temple of Gods on Paradise Island. There, the queen had shown her a statue of Mars, who was wearing the same design ring as the one on Nubia’s hand. Wonder Woman decides that she must remove this ring at all costs and taking off into the air, she grabs Nubia’s hand. She then flies up above the cloud cover taking the black Amazon with her. Using her bracelets to concentrate the sun’s rays onto the ring, she manages to heat it up enough for it to expand and loosen. Nubia gasps as the ring slips of her finger and falls towards the ground. Wonder Woman rushes after it and catches the ring in her hands, hoping that Nubia’s rage against her will at last subside. 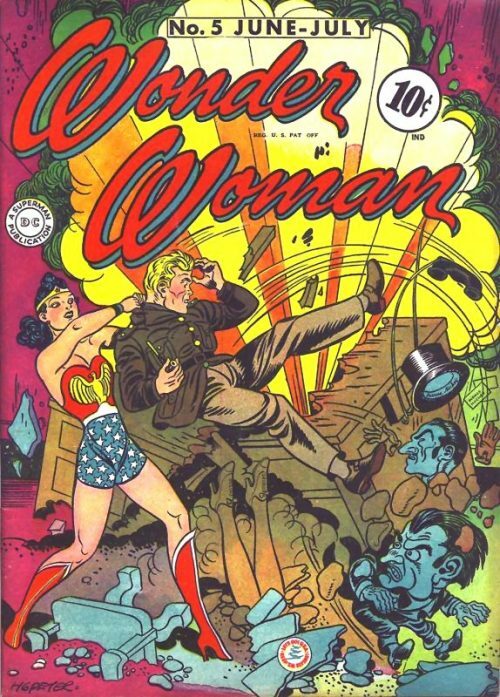 Wonder Woman then topples a statue of the War God and enraged, the God himself appears to confront the Amazon Princess. He orders Nubia to slay Wonder Woman but she refuses and Wonder Woman reveals that she has removed Nubia’s ring and the hypnotic influence it held over her. In anger, Mars transforms into a fire breathing multi-headed dragon and attacks the two women. But when Wonder Woman’s lasso passes through the beast she realises it is another mirage and tells Nubia to stop fighting it. Instantly, the dragon shimmers into nothingness to reveal Mars again. 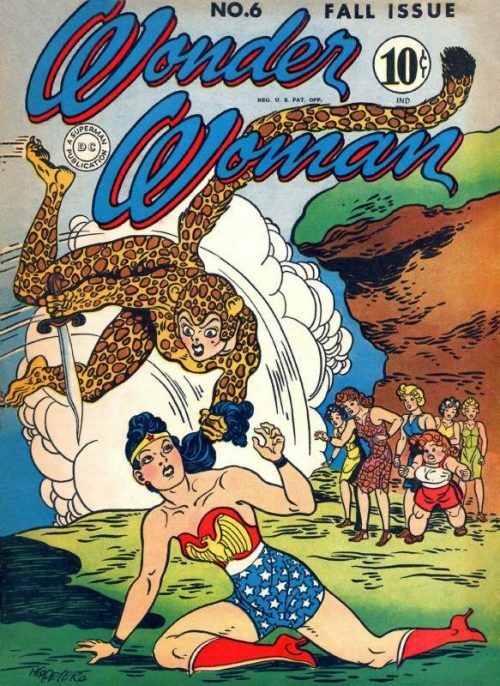 Wonder Woman taunts the God, saying that ever since Aphrodite defeated him in his first attempt to conquer the Amazon’s long ago, he has been afraid of women. 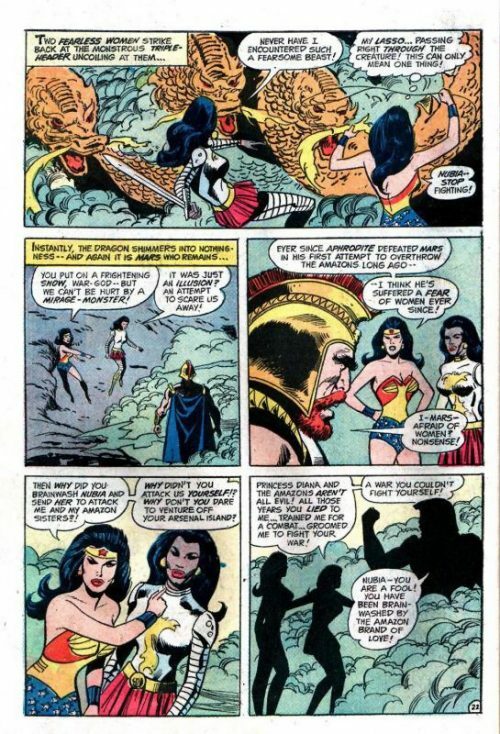 He denies the charge, but Wonder Woman asks why he trained Nubia to attack the Amazons instead of doing it himself. Nubia herself then turns on the God, accusing him of lying to her. Sensing his cause is lost, the God disappears, vowing to return again to seek his vengeance. With the threat gone, the two Amazons bid each other a fond farewell and Wonder Woman returns to Paradise Island, leaving the floating island to drift off into the distance. 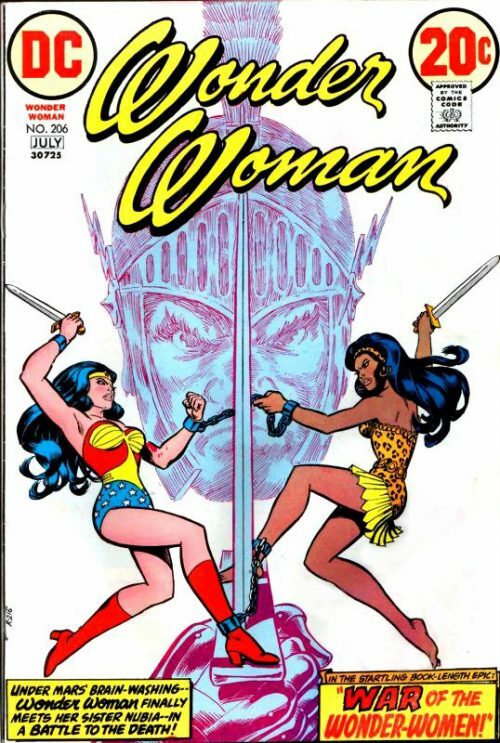 Later, Wonder Woman tells her mother that she is still puzzled by the close bond between herself and Nubia. The queen decides to reveal all and plays the memory tapes to her daughter, revealing the fact that Nubia is really her sister.